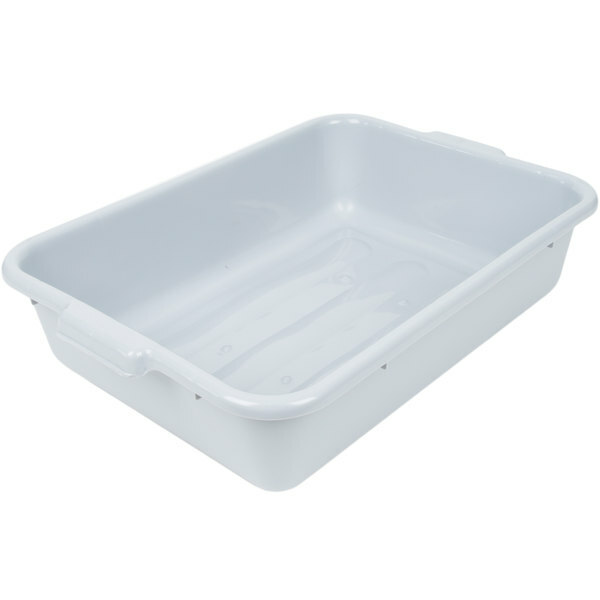 Bussing should be easy, and with this gray, plastic bus tub, it is! 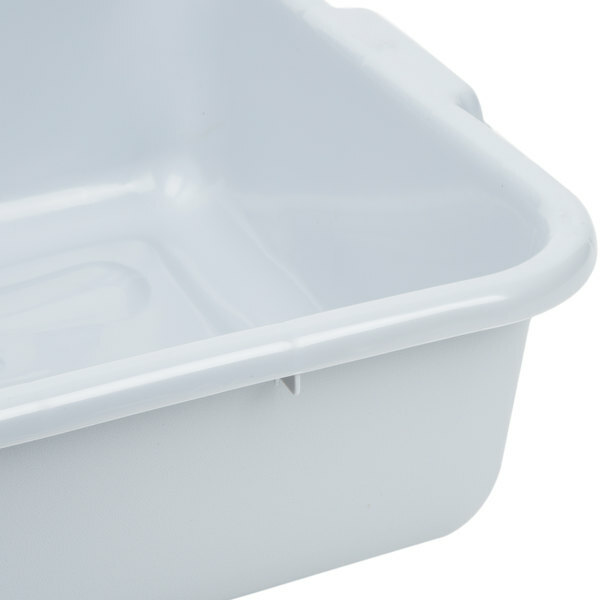 Perfect for the everyday operations of any restaurant, this mid-sized bus box is an effective and efficient way to transport goods from the table back to the kitchen. 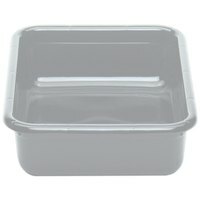 From an assortment of silverware to delicate wine glasses to hefty platters, whatever you need to carry from a table to the kitchen, this bus tub will handle with ease. 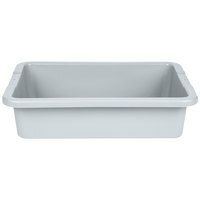 "Cost effective way to store our food items. 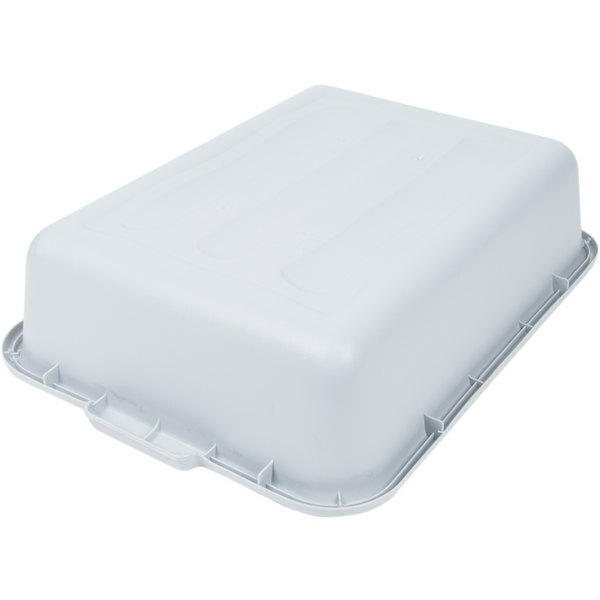 When paired with the matching lids, they will stack and save lots of space in the cooler, and when not in use, the nest to stack for storage." 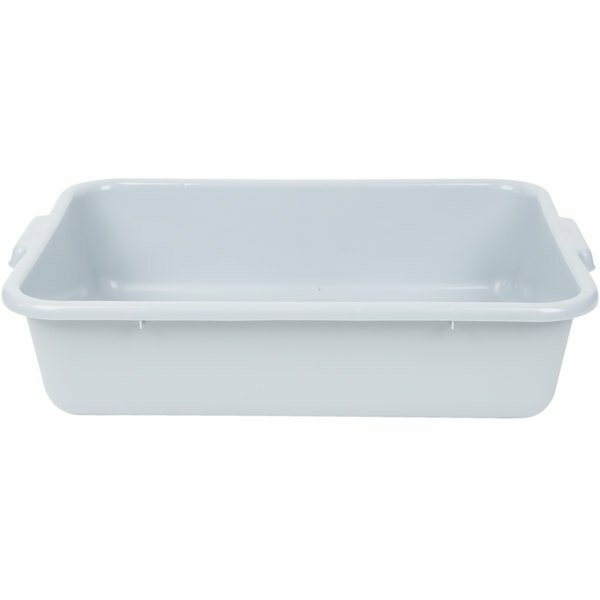 This versatile gray bus tub measures 20" x 15" x 5" and boasts durable plastic construction built to carry even the heaviest of dinnerware. 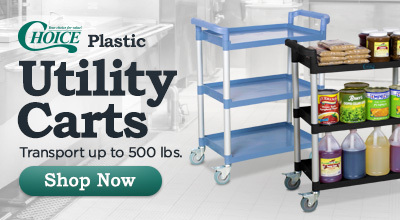 It even features sturdy, reinforced handles for easy and safe transporting. 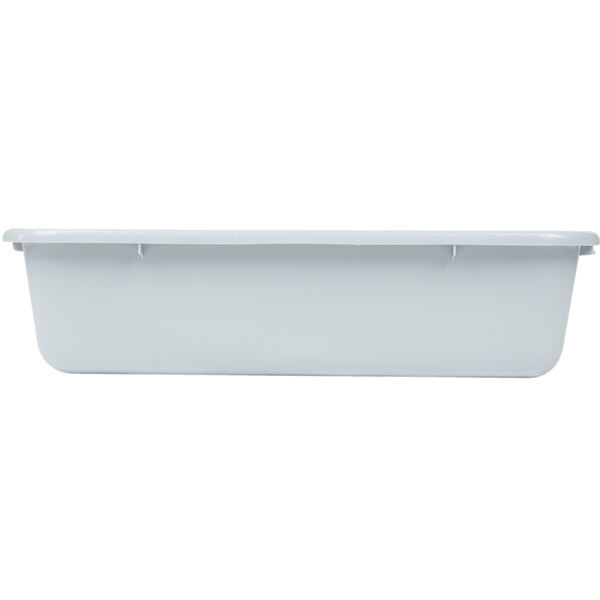 Thanks to its stackable design, this tub won't take a lot of storage room when not in use. 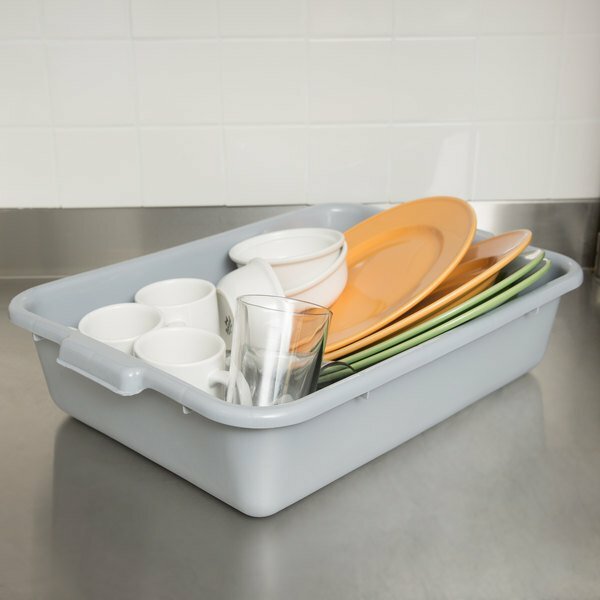 Just stack your collection of the tubs one on top of the other, and you'll end up with a condensed, easy way to keep them out of the way. 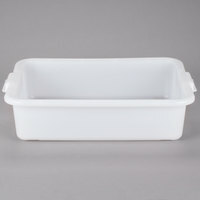 This tub offers a roomy interior to fit a whole table's worth of dishes for efficient bussing. For a fun and unique finish, the exterior is pebbled, which makes for a fine appearance as bussers work. 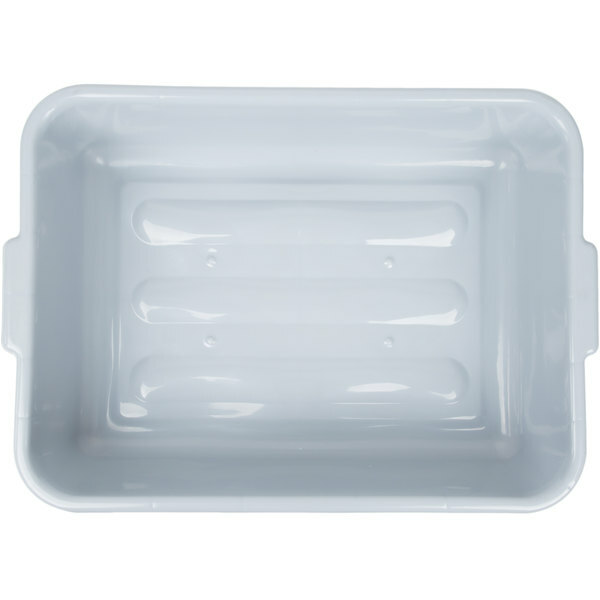 Item #: 9221521C05 Vollrath 1521-C05 Food Box - Traex® Color-Mate White 20" x 15" x 5"